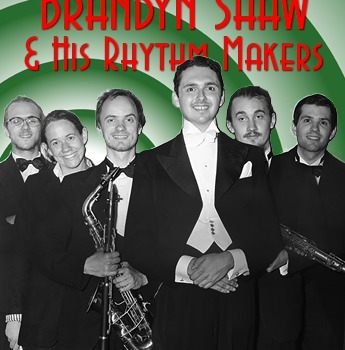 Leading his Rhythm Makers dance band, with its authentic style and sound, Brandyn Shaw recreates and celebrates the glamour, elegance and verve that became the Golden Era of British Dance Bands. Dance the night away to hits by Roy Fox, Lew Stone, Henry Hall, Harry Roy and many more, with vocal tributes to Al Bowlly, Val Rosing, J. Pat O'Malley, Sam Browne and even the novelty vocals of Harry Roy himself. Shaw's ultimate aim is to take you all on a musical journey back to the Golden Era of British Dance Bands, the birth of popular music and the origins of many of the classic popular hits we know and love today - plus one or two that may have been forgotten along the way. A dance band show not to be missed!